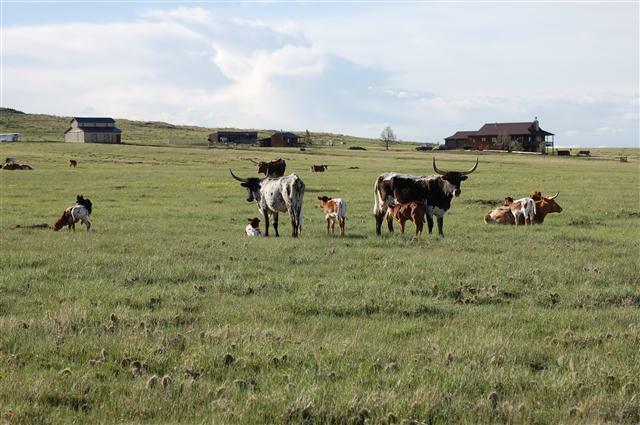 Located in Colorado's Bijou Basin on the banks of West Bijou Creek near Kiowa, Cwm Ceffyl Ranch is home to Registered Texas Longhorn Cattle and Border Collies. Also making it home is an abundance of wildlife including mule deer, North American pronghorn, bald & golden eagles, numerous species of hawks and falcons, great horned owls, burrowing owls, wild turkeys, coyotes, badgers, bobcats, mountain lions (a.k.a. puma or cougar), and western prairie rattlesnakes. John Fremont and his 1843 expedition camped on the turf of what is now Cwm Ceffyl on the night of 10 July, 1843 in their exploration of the area. The Smoky Hill Trail (sometimes called the Starvation Trail), used by gold seekers and settlers in the late 1850's and early 1860's, also passed across or very near the ranch. During the peak of the trading activity of Bent's Fort on the Arkansas River and Sante Fe Trail, much traffic went through this area going between Bent's Fort and Ft. St. Vrain and Ft. Lupton up on the South Platte River. Later, during the Indian wars of the 1860's, the Southern Cheyennes, Arapahoes, Kiowas, Comanches, and even some Sioux from up north frequented this area. 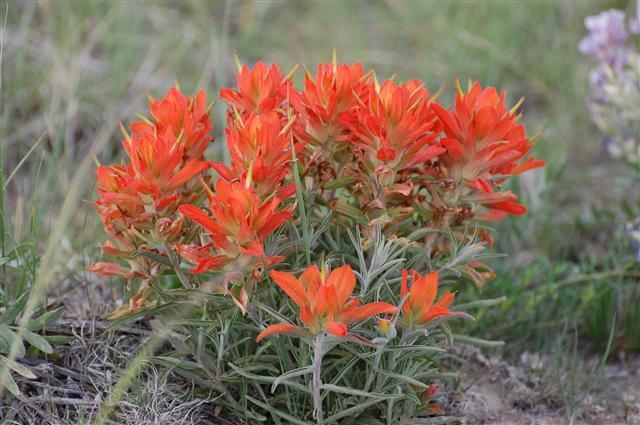 We like to think that famous Southern Cheyennes such as Black Kettle, Roman Nose, Spotted Tail, and George Bent (William Bent's half Cheyenne son), erected their lodges on our ranch at some point in their lives. Some of the first cattle brought into the Bijou Basin were driven here from Texas by the famous cattleman and plainsman Charles Goodnight in the 1860s. This is our herd sire, Lazy J Avatar. He has a 72" tip-to-tip. He is now available. Check him out on the "Sale Pen" page. 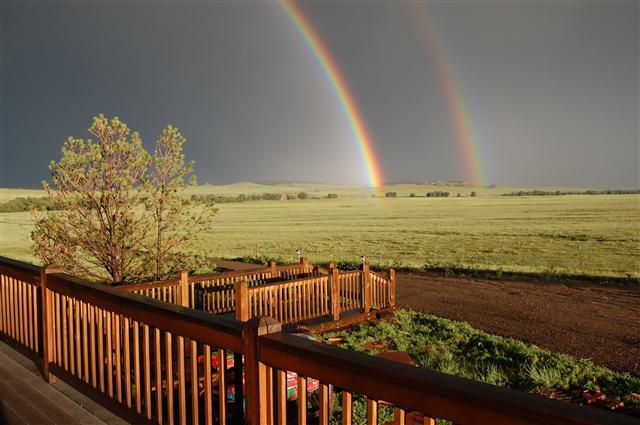 This is an evening view from the ranch house deck. Not bad working conditions around Cwm Ceffyl. This photo was taken on 6 July 2009 at 7:40 PM. 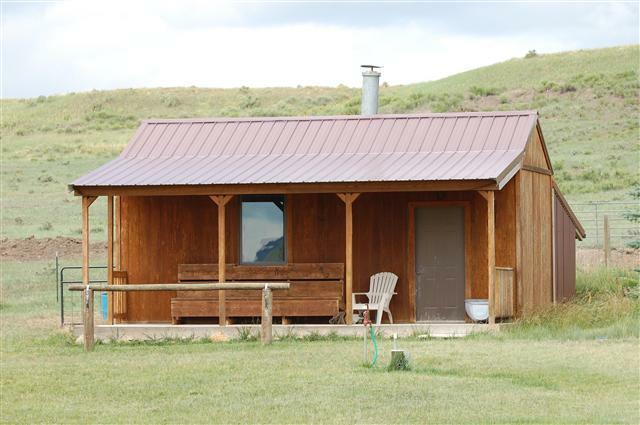 The Cwm Ceffyl Ranch bunkhouse. 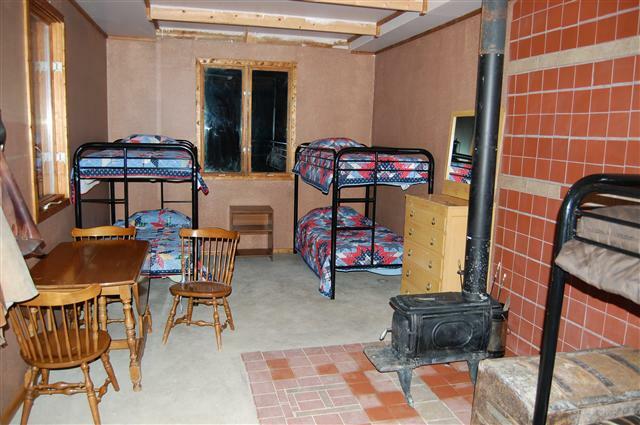 Sleeps 6, heat and cooking on a wood burning stove. The bunkhouse deck is Chuck's favorite place on the ranch to sip on a beverage. 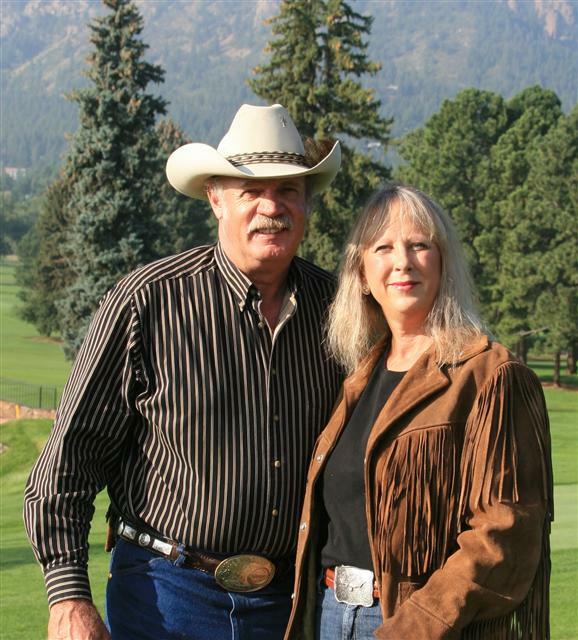 Chuck "El Cymro" Hughes and Kadie Hughes established Cwm Ceffyl Ranch. "Cwm Ceffyl" is means "Horse Valley" in the Welsh language. 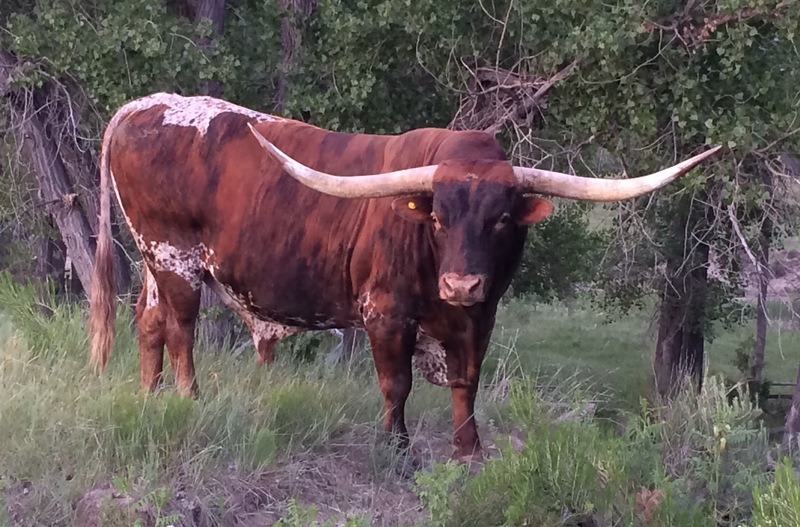 We are raising quality Texas Longhorn cattle because of the historical preservation value of the breed of cattle that "gave rise to the entire reality and most of the myth of the American Cowboy." Of course, that is along with the outstanding qualities of calving ease, browse utilization, heartiness, disease resistance, and low cholesterol, lean, healthy beef. We are members of the International Texas Longhorn Association and the Colorado Department of Agriculture's "Colorado Proud" program.